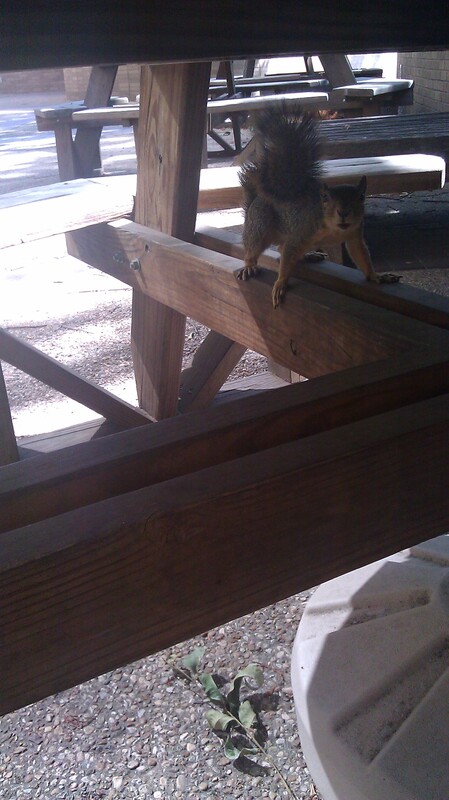 Yesterday I met a squirrel and he wouldn’t go away. So I took pictures of him. He was intrigued by the bag of Goldfish near this pile. And though I tried to shoo him away, he got closer. 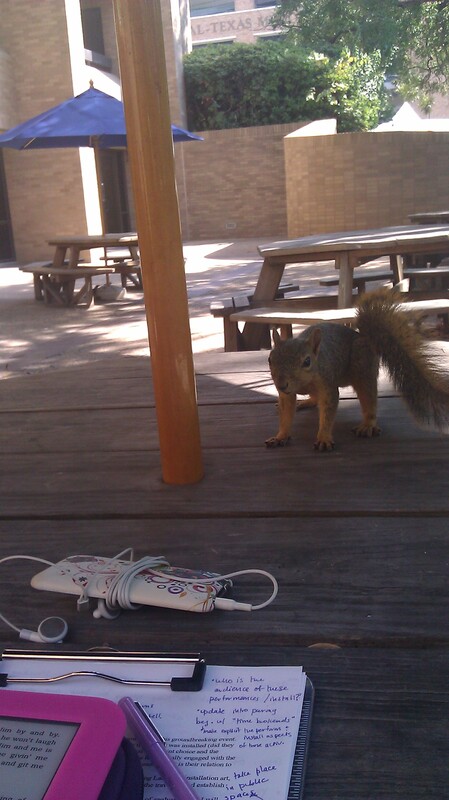 I had quite a few electronics out and I think he thought my iPod was edible. 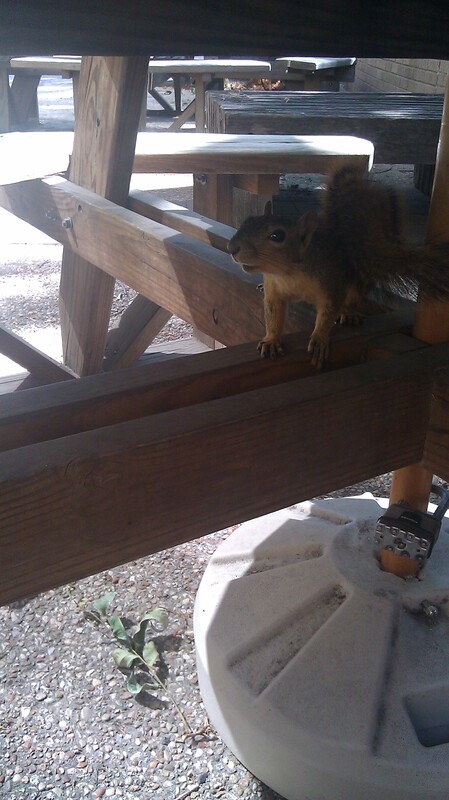 Then he tried a sneak attack, but by then I’d eaten all the Goldfish. 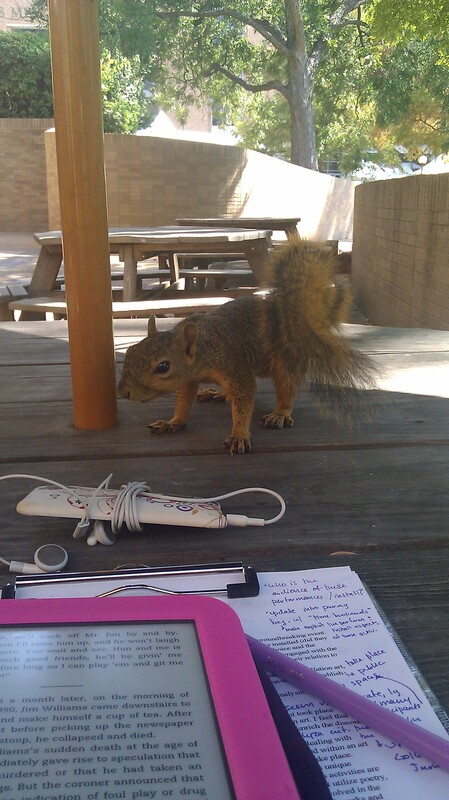 Eventually my squirrel friend was onto me and the object I kept holding up to my face. I think he thought it was a food item, too. 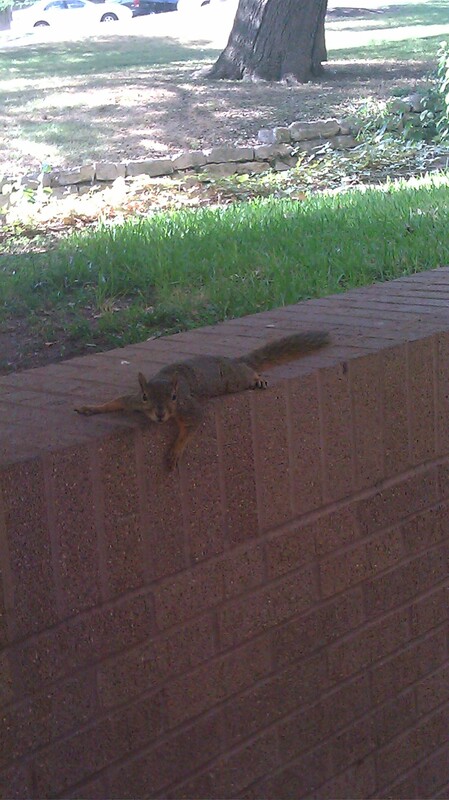 Eventually he gave up and left my table. But he never lost sight of me.